What’s better at the end of a long day than relaxing on the sofa in your pyjamas, enjoying a bar of chocolate, scrolling through Instagram on your phone, while eyeing up a tasty-looking meal at that new Mexican restaurant? These are the simple pleasures that life is made of. Unfortunately, this moment of relaxation comes at a cost, and the cost is water. A lot of water. That chocolate bar you’re enjoying? It takes an astonishing 17,000 litres to produce 100 grams of chocolate. That’s about ten bathtubs. The tasty looking food on your Instagram is worse – meat and dairy are responsible for two thirds of worldwide water consumption. Your phone itself requires about 13,000 litres of water to produce. The cotton in your pyjamas and the material in your sofa all required thousands of litres. And even Instagram – yes, the Gram ­– is indirectly responsible for huge quantities of water usage, as are all large internet companies. It is estimated that by 2025 the communications industry could use up 20% of the world’s electricity supply. This matters because water is used in the cooling process in coal, oil, natural gas and nuclear power plants. Water is also used in great quantities during fuel extraction, refining and production. So, yes, a lot of water. Now, you may be wondering what exactly the point is. Why does it matter that we use so much water? Water is everywhere. It’s in lakes and rivers and often just falls from the sky. Two thirds of the entire planet surface is ocean. It naturally recycles itself. Water is the most abundant, fundamentally vegan resource imaginable. Except, it’s not quite as abundant as you might think. Only 0.014% of Earth’s water is fresh and easily accessible. The rest is either saline, which isn’t useable in most industries, or is difficult to get to. For a long time this hasn’t really mattered, but now the global demand is fast outstripping supply. 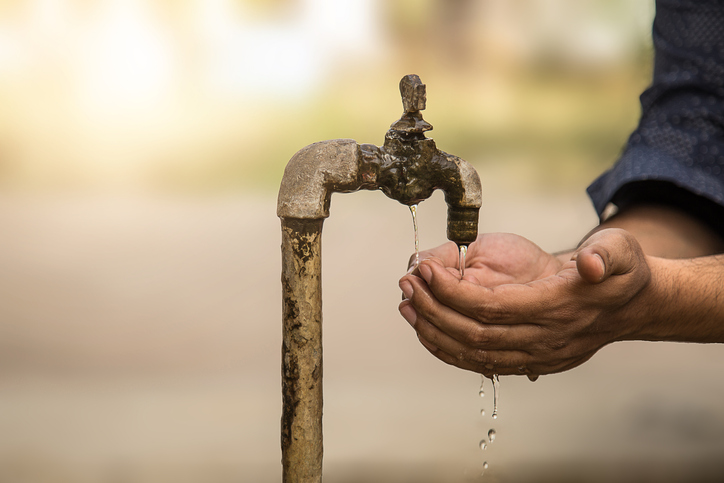 A rapidly rising global population, much of which is becoming more prosperous and demanding more consumer goods, is putting huge pressure on water supplies. 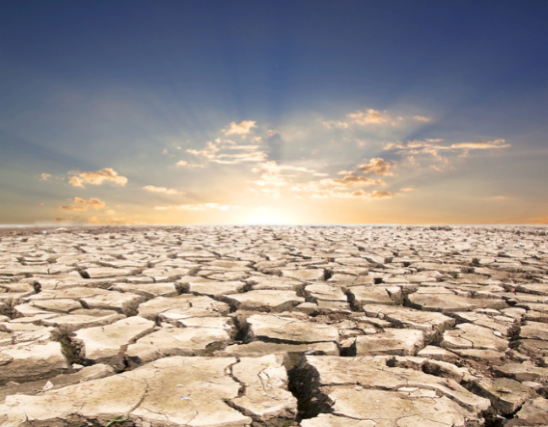 Climate change is also causing more drought, and other environmental damage such as pollution and deforestation is directly reducing the amount of useable water being recycled through the hydrological cycle. If you’re thinking that this is only a problem for people in stricken parts of the world like central Africa, think again. Last month, the head of the UK’s Environmental Agency warned that England will not have enough water to meet demand with 25 years. Even the most phlegmatic person must be shocked by that concept. In the past few years, there has been a sort of awakening in the developed world about the looming (if not immediate) threat that we are facing as a species. We have become so used to living in a world where all our needs are met with overabundance that very few of us ever stopped to really think about where it all came from. We never dreamed that we would run out of water. It seems almost ludicrous to suggest. Unfortunately, it’s now become clear that we’ve been living on borrowed time for too long now, taking more and more out of the proverbial overdraft, expecting the natural world to keep taking one for the team. You can only blow up a balloon so far before it bursts, and that’s what we’ve been doing to the Earth. And the burst is coming. Pessimists might argue that the damage is done, and all we can do now is start stocking bomb shelters with tinned vegetables. That might be a good option to have in the back pocket, but there are also things you can do that might help stop the total collapse of civilisation. You can conserve water directly by taking showers rather than baths and not using your dishwasher or washing machine until it has a full load. Also, get the more modern and efficient appliances that conserve water better. But, as we’ve said here, the real problem is the “hidden water”, the products that ostensibly have no water waste at all, but are directly responsible for so much global water usage. That’s harder to tackle, but you can do some things to help. Diets that are made up of highly processed foods (like sweets, crisps and ready-made meals) require far more water than those predominantly based on whole foods like fruits and vegetables. Cutting down on meat and dairy is also ideal. The added benefit of this is you’ll probably be healthier as a result, so that’s a win-win. Also, don’t waste food. Twenty five percent of freshwater consumed is used for food that is ultimately discarded. Food waste is a huge problem, and if we could be more efficient with our consumption then we would directly reduce the quantity needed. Get to the supermarkets in the evening and check out their reduced sections – that stuff is just going to get thrown out anyway, and you’ll save a bit of money. Speaking of saving money, you can also help by buying clothes from second hand shops. Clothes production is responsible for very high water usage, but people often get rid of clothing long before they need to. If you are going to buy new, you’d be better to invest in well-made items that will last longer. As a society, we need to normalise the idea of “make do and mend”, rather than promoting the perception that it’s somehow demeaning or embarrassing to not look pristine. It should become a badge of honour to be wearing a coat with a sewn-up tear in the elbow (but let’s not start having companies manufacturing new garments with fake repairs because it’s a new trend – we can see that coming a mile off. Don’t even try it, Hollister). You should also give thought to other items you buy unnecessarily. For example, in the height of irony, the volume of water used to make a bottle of water is six or seven times more than the water inside the bottle itself. As this is also a typical single-use plastic, you’d be well advised to avoid buying bottled water (or any plastic bottled drink) when you can avoid it. A bottle of orange squash is much more efficient. More abstractly, you could begin pushing the government to introduce “water footprint” labels on all goods. That way, you’ll know when you buy something exactly how much water has gone into the production of that good. We already have water efficiency labels on household appliances, so why not extend that to the products we buy?